The Health Ministry of St. James will be holding Anointing of the Sick at all four Masses on April 6th and 7th. We ask that if you would like to be Anointed that you sit in the first pew by the Sanctuary, which is reserved. Your family may sit behind you in the reserved seating. Please stop at a table as you enter and our health ministers will give you a name tag to assist the Priests with knowing who is to be Anointed. 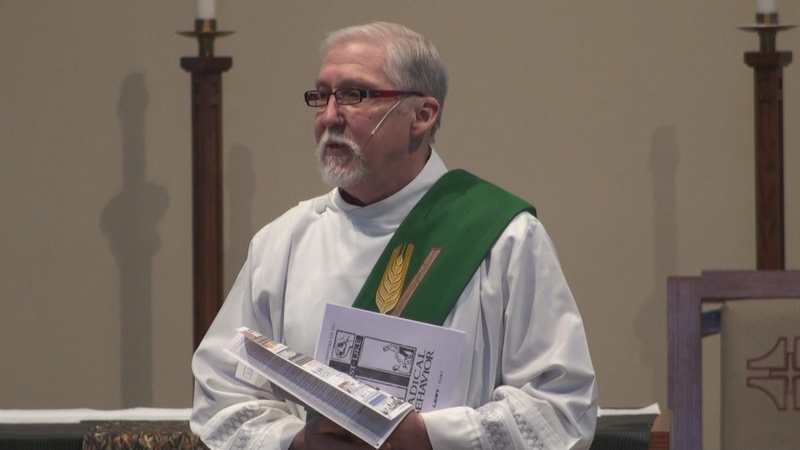 It has become our tradition here at St. James to Anoint at our Masses so that the whole church community may take part in the healing ministry. All are welcome to assist with the laying on of the hands as our parishioners are being Anointed. W220 N6588 Town Line Rd. 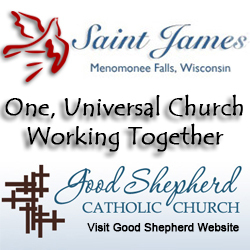 St. James is a Catholic church in the Archdiocese of Milwaukee, Wisconsin.